From snow-capped mountains to peaceful fjords, calving glaciers and sculpted icebergs, guests can experience a remarkable medley of landscapes along the Antarctic Peninsula, aboard Silver Explorer, as she embarks on an 18-day journey. Departing Valparaiso on 14 November 2016, Silver Explorer commences her expedition through Chile first porting at Puerto Chacabuco, before cruising through the English Narrows and past Pio XI Glacier and the Chilean Fjords, all while Silversea's expert Expedition Team tell of the history of early Spanish explorers. 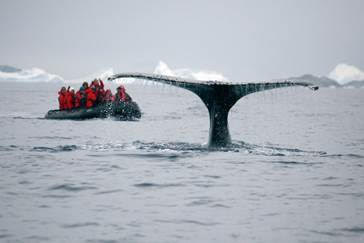 From Punta Arenas, capital of Chile's southernmost region, Silver Explorer then cruises through the Drake Passage where guests may catch a glimpse of the multitude of seabirds and whales inhabiting the area. Over the next five days, guests will sail along the Antarctic Peninsula with ample time to encounter the region's native wildlife including elephant seals and Gentoo penguins, and explore the vast white wilderness via Zodiac. Travelling through the Drake Passage once more, this voyage concludes in Ushuaia, Argentina with guests disembarking on 02 December 2016. Prices are per person, starting from AU$30,350 based on double occupancy in a View Suite. Guests that book and pay in full before 30 April 2016, will receive a 10% saving (AU$27,315) as part of Silversea's Early Booking Bonus.